I am a tea freak! I try to use it instead of coffee and succeed on most days. It helps to have great tea to tempt the taste-buds. Normally, I use tea bags already made, but admit to having a curiosity for loose leaf teas. Mommy Moments with Abby's review of Tiesta Tea: I was very excited when I received my tea package. Since it was for loose tea and I do not have an infuser I was excited to see that Tiesta Tea has t-sacs or filters that you can fill yourself! They have tea's for everything! So I grabbed some for the mom in me (relaxer, energizer, slenderizer) and the immunity for the cold season. I was very excited to fill the first filter and put it into my mug. I used the Slenderizer Green Tea. I allowed it to steep about 3 minutes and then sipped it. It was a great green tea blend. I felt like I could taste a touch of sweetness mixed with the bitterness of the green tea leaves balancing nicely to create a taste that you would expect from a good cup of green tea. I am a new loose leaf tea fan! You can make your filter as weak or strong as you would like and, if so inclined, you can blend different flavors. I'm very excited to test out the other flavors, but I just can't seem to stop reaching for their green tea blend! 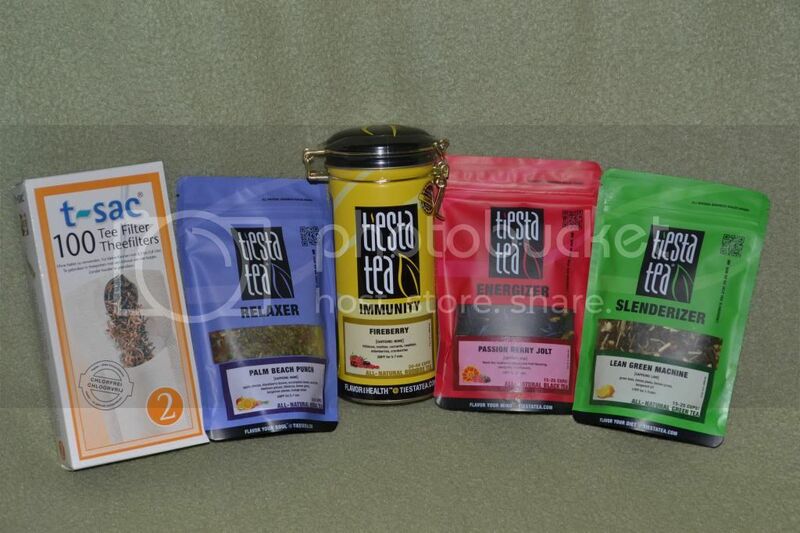 You can grab some of your own by visiting their website: http://www.tiestatea.com and use the coupon code is "TeaWithAbby11", it includes Free Shipping and 15% off on the website.